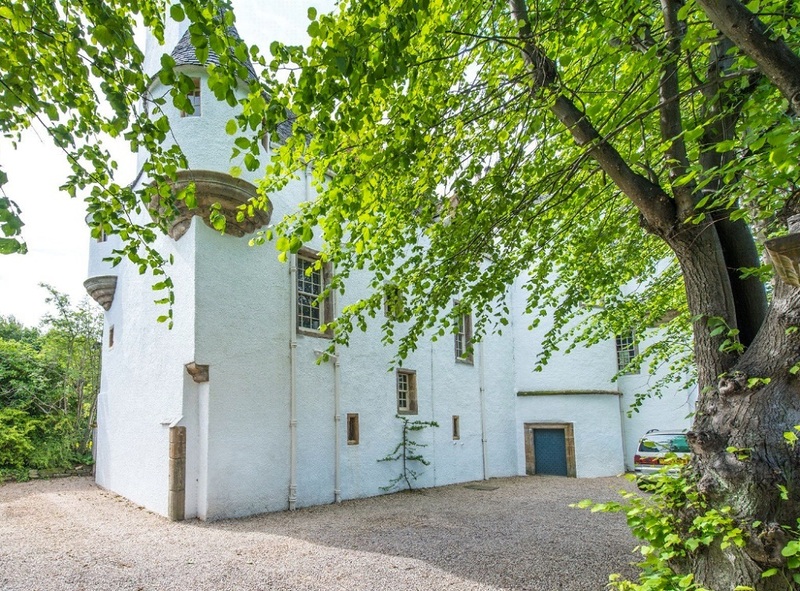 An enchanting and meticulously restored 17th century house in secluded grounds is now for sale – for over £1million. 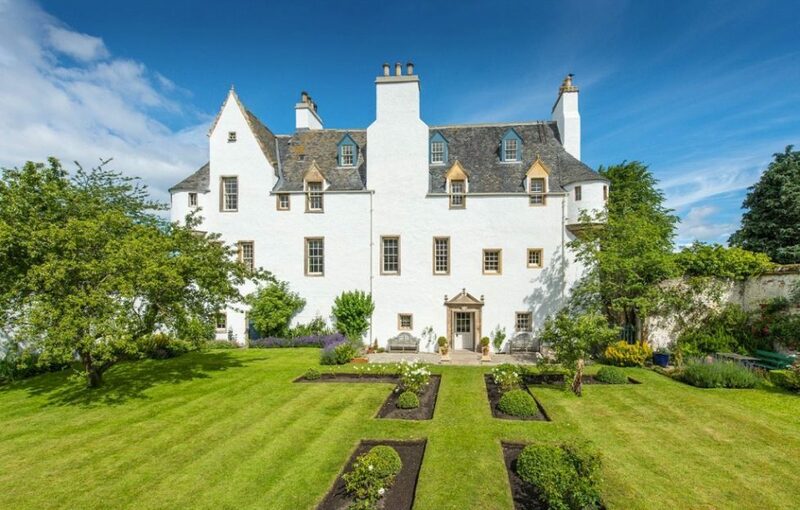 Northfield House, in Prestonpans, East Lothian, is presented to the market by Savills. 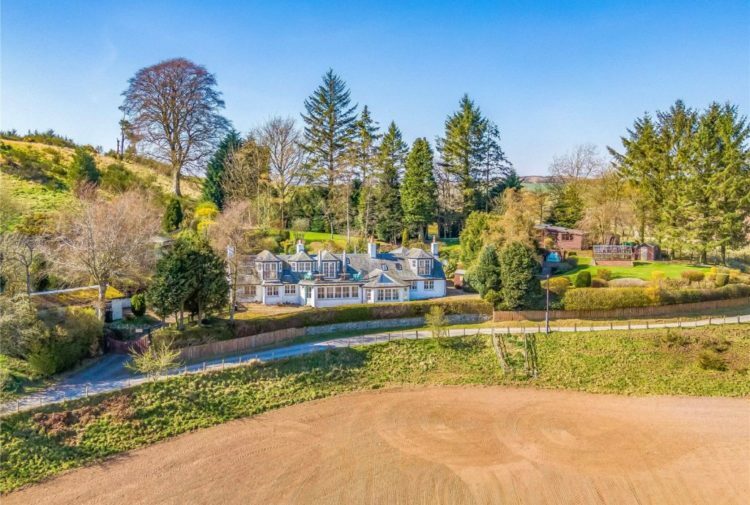 This is a rare opportunity to acquire an enchanting family house in excellent order in delightful and secluded garden grounds of 1.74 acres. 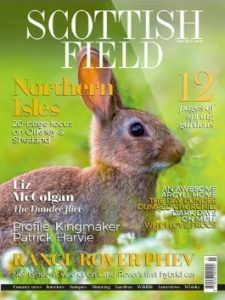 Northfield house has been comprehensively renovated by the current owners during the past 18 years to include rebuilding the chimney stacks, overhauling the roof and lead where required. The harling has been repaired and repainted and gutters and downpipes have been replaced where necessary and then painted. All windows have been carefully renovated and are in working order with working shutters. The plumbing has been either replaced or upgraded and the central heating system was installed in 2004 with a subsequent new condensing boiler in 2010. Wiring in the first, second and third floors was replaced during the renovations. The house is approached by a gateway from the street opening onto a gravel courtyard with parking for numerous cars and a gateway leading onto a cobbled terrace on the southern elevation of the house. The entrance hall has studded outer storm doors, leading to a half glazed inner front door with tiled floor. Lower stone stairs lead to the first floor and principal accommodation. There is a half landing with a window to the north. The cloakroom is a stone barrel vaulted room being the original kitchen and bakehouse with fireplace and small cellar, while the store is also a stone barrel vaulted room with boiler room and WC off. The store is used for wine storage, while the north entrance turret leads to the base of the main stair with a 16th century door to the courtyard. The old kitchen is part of the 1611 extension with original flagstone floor. Windows are to west and the room connects to the garden room, which is currently used as a store for garden machinery and implements. 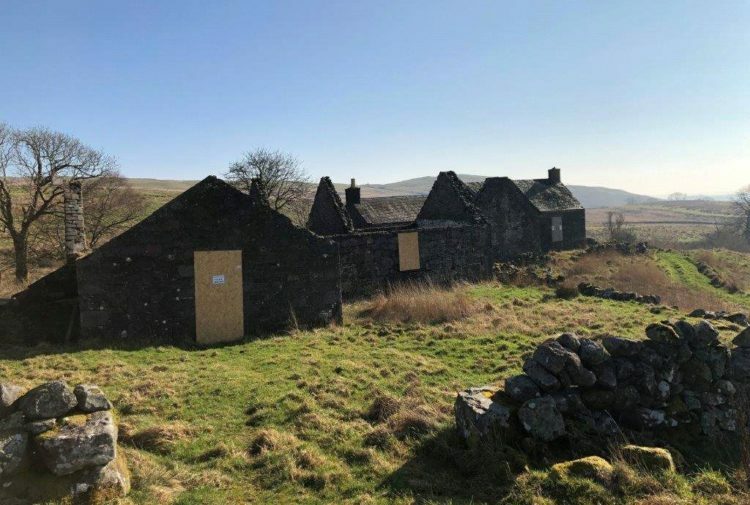 It is considered that the cellar, north entrance turret, old kitchen and garden room which have been left unconverted could potentially be used as granny or staff flat having their own access to the gravel courtyard and to the garden. On the first floor is the family kitchen/dining room. It has a 16th century oak door, hand made solid timber cupboards and shelves with Belfast sink in polished granite worktop. There is Marmoleum flooring and a gas fired four oven Aga. It also has a clothes pulley. The reception hall is part of the original great hall with 16th century oak doors to stair and butler’s pantry. 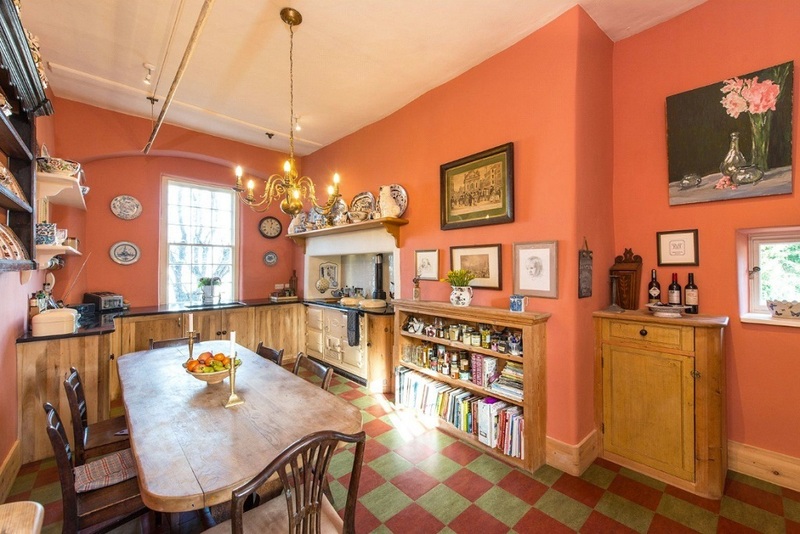 It features a 17th century tempura painted beam and board ceiling, polished pitch pine floor and utility cupboard. The dining room is an exceptional panelled room created out of the subdivided Great Hall. 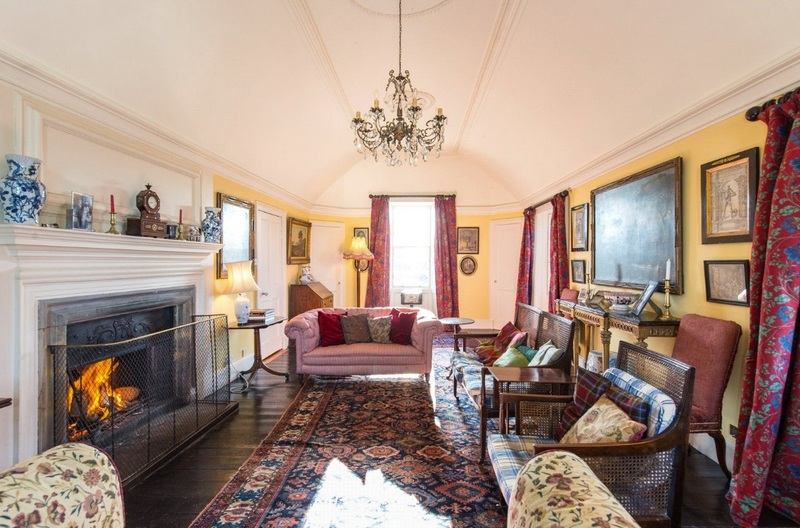 Featuring a large marble Regency working fireplace, there is a 17th century tempura painted beam and board ceiling, Baltic pine floor, window seats and working shutters. The corridor and main stair were remodelled in the 1830s when the main stair was reconstructed. 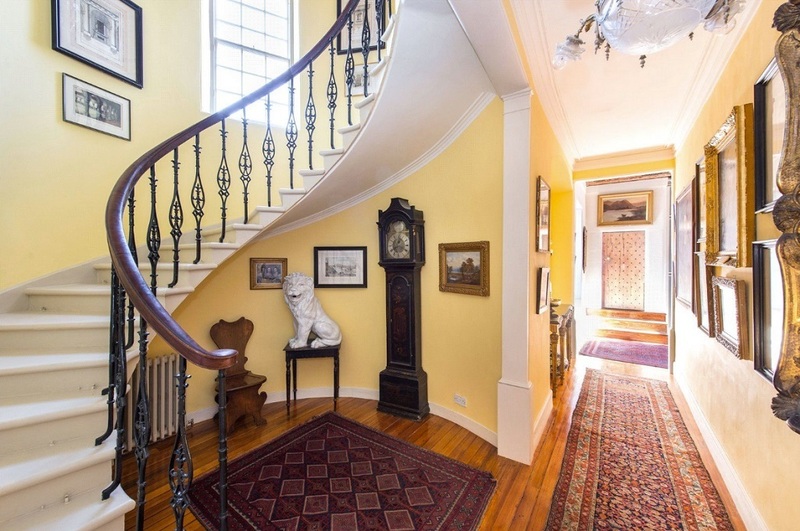 Featuring regency plasterwork and woodwork, there’s a polished floor, magnificent stone cantilever circular stair leading to the second floor, cast iron Greek revival balusters and a polished mahogany handrail. The Red Bedroom is one of two principal guest rooms with 17th century tempura painted beam and board ceilings. A fragment of surviving wall decoration shows hunting scenes. 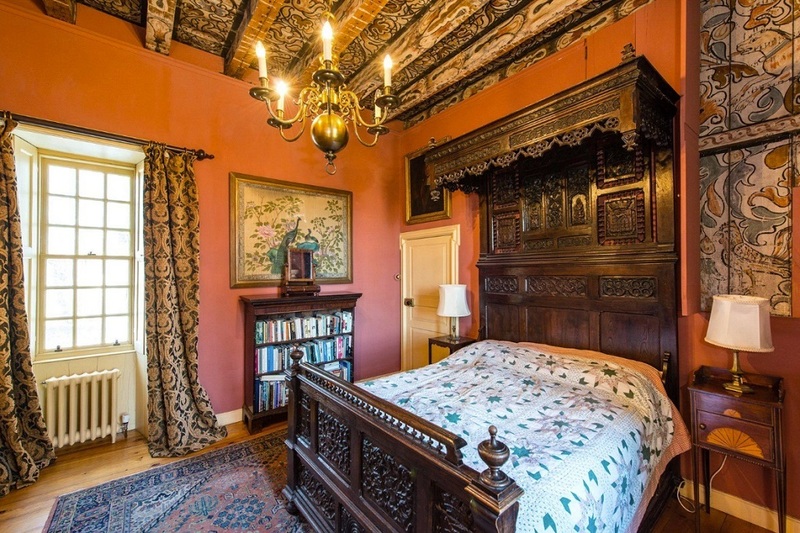 The Yellow Bedroom has a 17th century tempura painted beam and board ceiling, windows to south overlooking the main garden with original working shutters. There are also panelled walls and a polished black marble working fireplace. The bathroom has white fittings including wash basin, bath and WC, a heated towel rail and a window to the west. On the second floor is the drawing room. Formerly the long gallery this is a magnificent reception room with plaster barrelled vaulted ceiling, with windows to the south, west and north, all with working shutters. 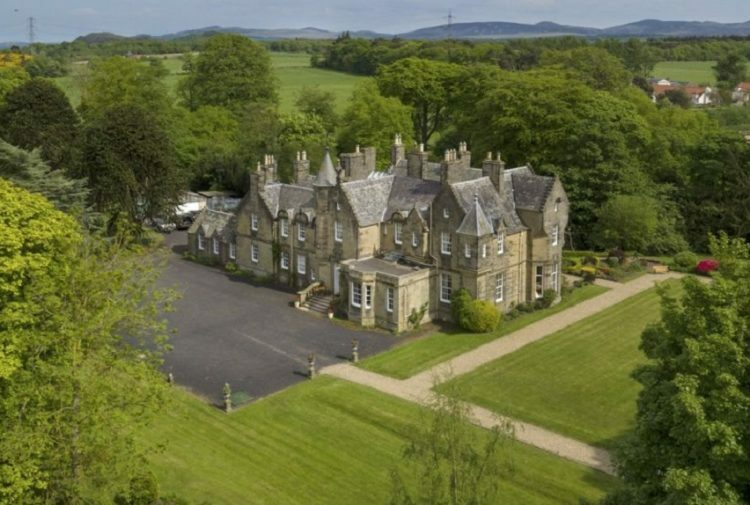 It offers views over the front garden and distant views to Firth of Forth and to Edinburgh. There is a working fireplace with late 17th century mantelpiece and turrets on the north east, north west and south west corners. There are another three bedrooms on this flow, plus a bathroom with white fittings including wash basin, bath and WC. There is a turret to the east, Baltic pine floor, a window to north with working shutters and a heated towel rail. The third/attic floor is approached by a wooden stair and providing charming additional accommodation which includes two further bedrooms, studio, store room and WC. In terms of outbuildings, there is a coach house with traditional slate roof. The agents will consider offers over £1,000,000.